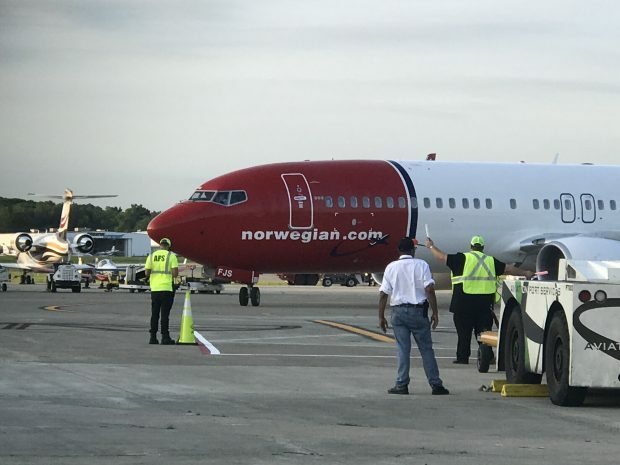 A new chapter in the history of Stewart International Airport (SWF) began Thursday evening when Norwegian Air International launched flights between Stewart and Edinburgh Airport in Scotland. 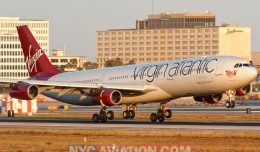 The route launch marks the first scheduled international and transatlantic flights from the airport in New York’s Hudson Valley. By the end of July, Norwegian will have three daily flights from Stewart to points in Europe. The inaugural flight was just the first in a massive expansion the European airline is planning in the Northeastern United States. 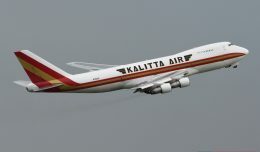 In the coming days and weeks, the airline will also launch flights from T.F. Green Airport (PVD) in Providence, RI and Bradley International Airport (BDL) in Windsor Locks, CT. Those flights will reach a variety of European destinations in Ireland, Norway, and the United Kingdom. The Irish destinations include Shannon (SNN), Dublin (DUB), Cork (ORK), and Belfast (BFS) in Northern Ireland. This will restore nonstop service from Belfast to the United States, a link lost in January when United ended its Belfast-Newark route. 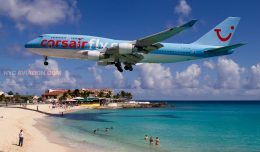 In addition to the destinations in the British Isles, the airline will add flights in July to Bergen (BGO) in western Norway. From Stewart, Dublin and Edinburgh will be served daily, Belfast three times per week, and Shannon and Bergen twice weekly each. 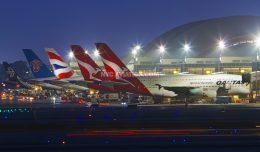 Initially, Norwegian intended to serve these new routes with brand new Boeing 737 MAX 8 aircraft. This latest generation of 737 aircraft have the range needed to operate flights between the Northeastern US and Western Europe relatively unrestricted. However, because of delivery delays from Boeing, Norwegian has yet to receive their first MAX. As a result, many of the flights this summer will be operated by Norwegian’s 737-800 fleet. That includes all of the flights between now and July 15th. Currently, plans are for the 737 MAX 8 to finally begin operating all transatlantic routes beginning this fall. The inaugural flight was operated by the 737-800 registered as EI-FJS. The one year old aircraft bears a tail fin honoring Swedish painter and artist Karin Larsson. The flight departed Edinburgh slightly late, at 5:29pm local time. Arrival at the gate in Newburgh was at 7:30pm EDT. Upon arrival at Stewart’s Gate 1, passengers were taken to the airport’s temporary customs facility. Meanwhile, a ribbon cutting ceremony had been held earlier in the evening at Stewart. It featured representatives of the Port Authority of New York and New Jersey, Norwegian Air International, Orange County, and New York State Tourism. 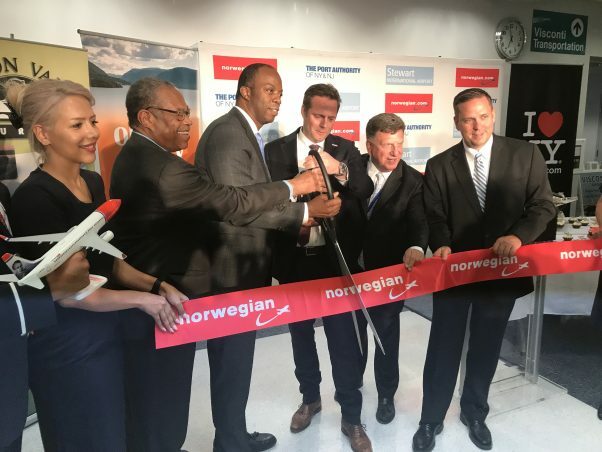 Ed Harrison, General Manager of Stewart International Airport, stated that Norwegian’s flights were the culmination of more than four years of work between the airline and the Port Authority. 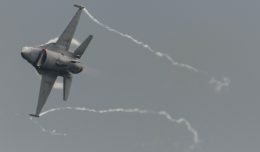 NYCAviation was onboard the inaugural flight from Stewart International Airport. Watch for our review of the flight soon.